If you have a pet, why not include them in your Valentine's plans this year? Or, if you've got your Valentine's festivities all planned out already, save this for a just a fun and quick midweek romance tip! 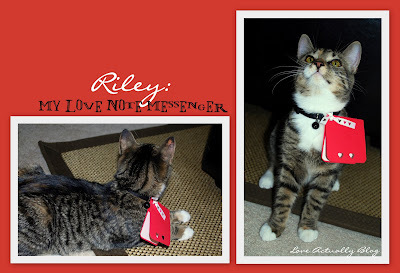 Attach a little love note to your pet's collar right before your spouse will be returning from being away from home. Imagine their surprise to be greeted not only by your pet, but by a special love note! Who can resist that? 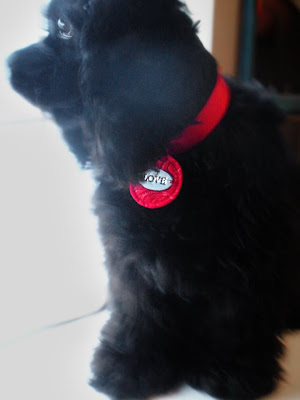 Jannypie Crafts sent me the link to their oh-so-cute DIY Valentine Pet Collar. You can download a free PDF instruction sheet from that link above. I'm "paws"itive your spouse will think this is pretty much "purr"fect. This is so fun. I think I'll use it for a midweek romance rather than Valentine's Day.